Stereo Amplifier Power: How Many Watts Are Enough for Speakers? How Many Watts Are Enough for Speakers? An industry veteran in the consumer electronics industry and wrote about home audio and home theater systems. Match the power requirements of speakers with the output power of the amplifier or receiver. Power should equal the impedance rating for each of the speakers. Speakers require more or less power than others — loudspeaker sensitivity is expressed in decibels, which is a measure of how much sound output is produced with a specified amount of amplifier power. For example, a speaker with a lower sensitivity (say, 88 to 93 dB) tends to require more amplifier power than a speaker with a higher sensitivity (94 to 100 dB or more) in order to play and sound optimally at the same volume level. Power output and speaker volume follow a logarithmic, not linear, relationship. For example, an amplifier with 100 W per channel will not play twice as loud as an amplifier with 50 W per channel using the same speakers. In such a situation, the actual difference in maximum loudness would be just slightly louder; the change is only 3 dB. It takes an increase of 10 dB in order to make speakers play twice as loud as before (a 1 dB increase would barely be discernible). More amplifier power allows the system to handle musical peaks with greater ease and less strain, which results in better overall sound clarity. Some speakers must work a little harder than others to achieve a specific volume output. Certain speaker designs are more effective than others in projecting sound evenly across open spaces. If your listening room is small or carries audio well, you may not necessarily need a super-powerful amplifier, especially with speakers that are more sensitive to power. But bigger rooms or greater listening distances or less sensitive speakers will certainly demand a lot more power from the source. The most common measure of power is root mean square, but manufacturers can also provide values for peak power. The former indicates continuous power output over periods of time while the latter indicates output in short bursts. Speaker specifications can also list nominal power, which is what the speaker can handle over periods of time). Overpowering a speaker by supplying more watts than it needs can lead to damage to your equipment. Some manufacturers inflate specifications by measuring power at a single frequency, say 1 kHz, rather than an entire frequency range, such as 20 Hz to 20 kHz. For the most part, you can't go wrong with having more power at your disposal than not, even if you don't plan on blasting music at concert-like levels in your listening spaces. Amplifiers with higher power ratings can deliver without needing to be pushed to maximum output limits, which keeps distortion down and audio quality up. What Is the Relationship Between Loudness and Amplifier Power? 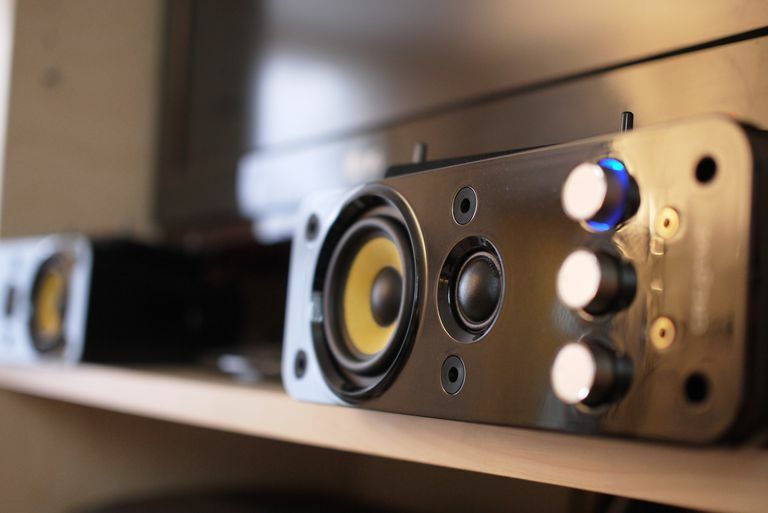 You Probably Have a Stereo Amplifier, But Do You Know How It Works? Left or Right Speaker Channel Not Working? Follow These Steps! Testing the Pro Audio Technology LFC-24SM: world's most powerful sub?